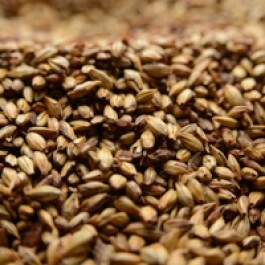 Medium crystal malt made with 2-row barley. It imparts deep gold and reddish hues, rich sweetness, and pronounced caramel flavor. Will also add body and improve head retention. Progressive usage, starting light to balance pilsners and reaching the maximum 15% to impart color and sweetness to darker ales, stouts, and porters.